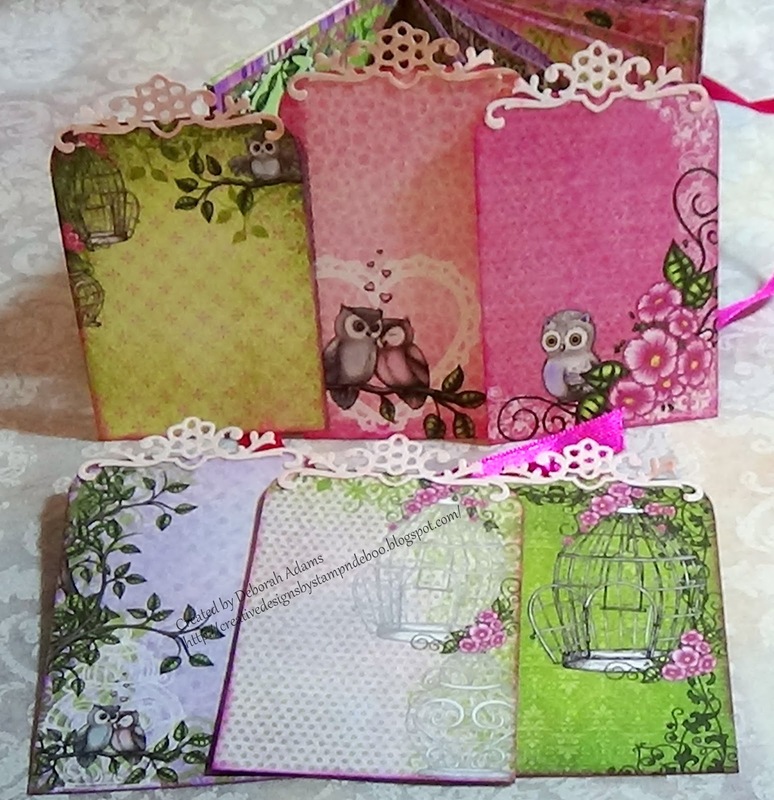 This is Deborah from the Crafty Cards Gallery Design Team. Hope you all are having a great day. 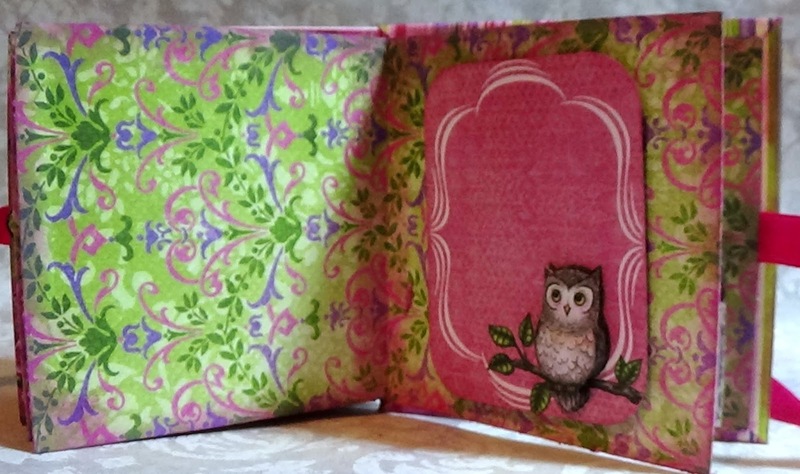 Today I am sharing a little 3 x 3 mini album. 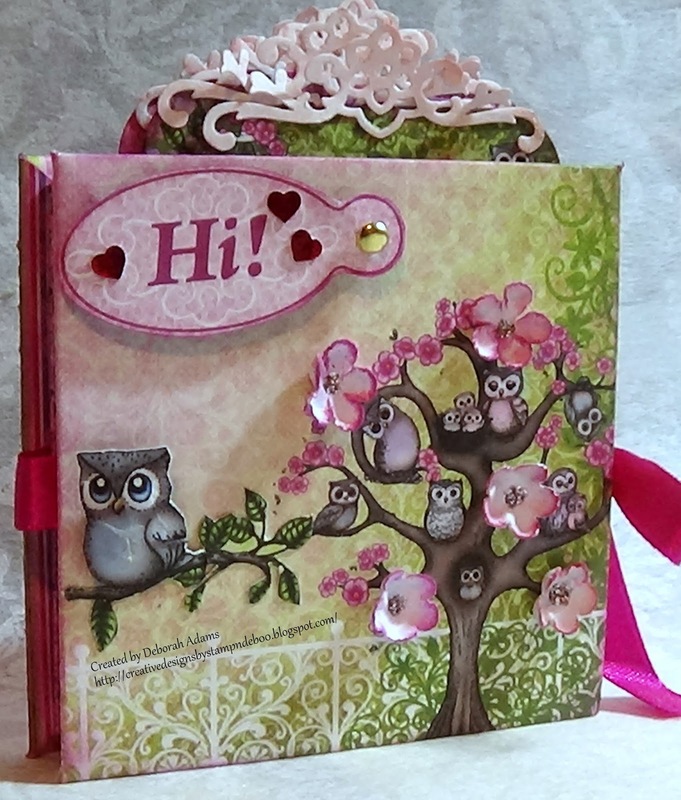 Who here likes Heartfelt Creations?? New Challenge Theme: Try Something New. I hope you like my project and get a chance to try creating this little mini. 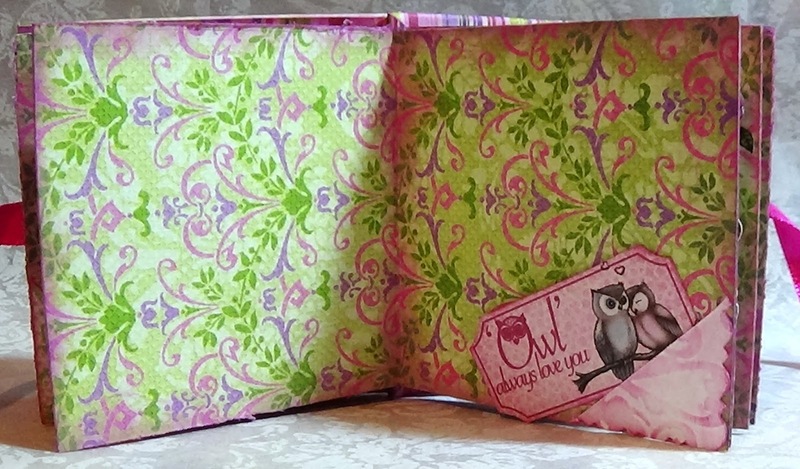 It is so cute and makes a wonderful little gift for grandma’s, aunts, or for yourself as a little pocket album. on the tag and owl from the collection. 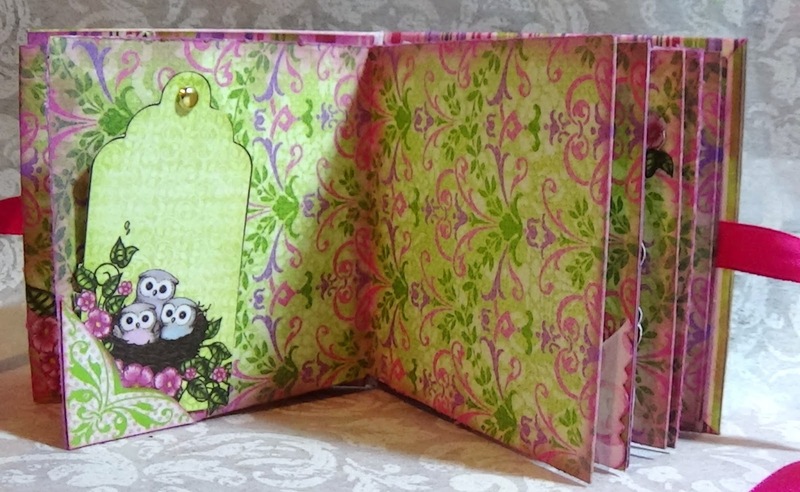 I inked around the paper edges with Momento ink – Lilac Posies. 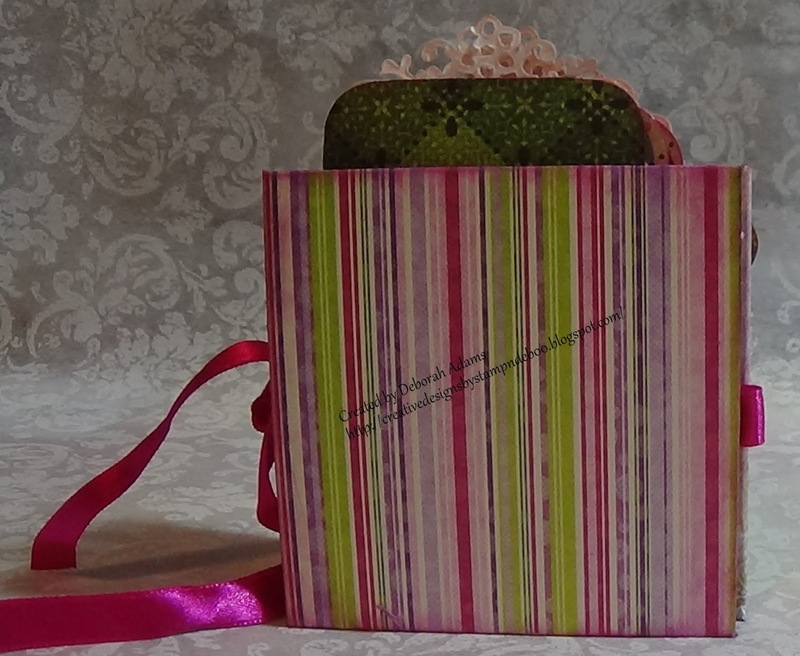 This is the first page fussy cut the tags and added a corner pocket to hold the tag. 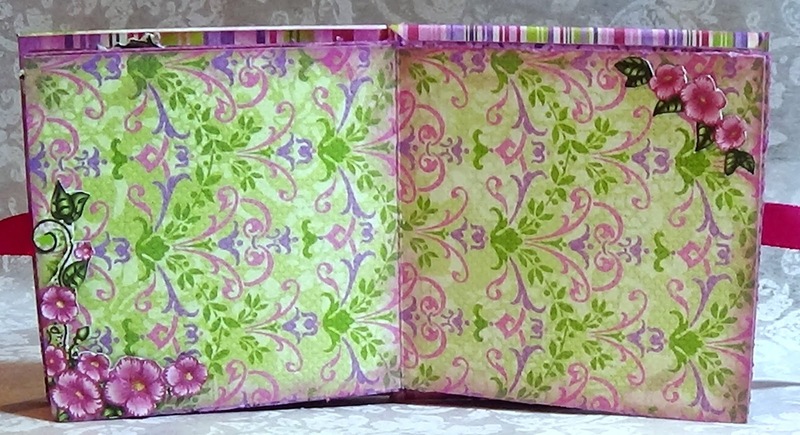 I embossed the corner pocket with Anna Griffith – April Garden emboss folder. 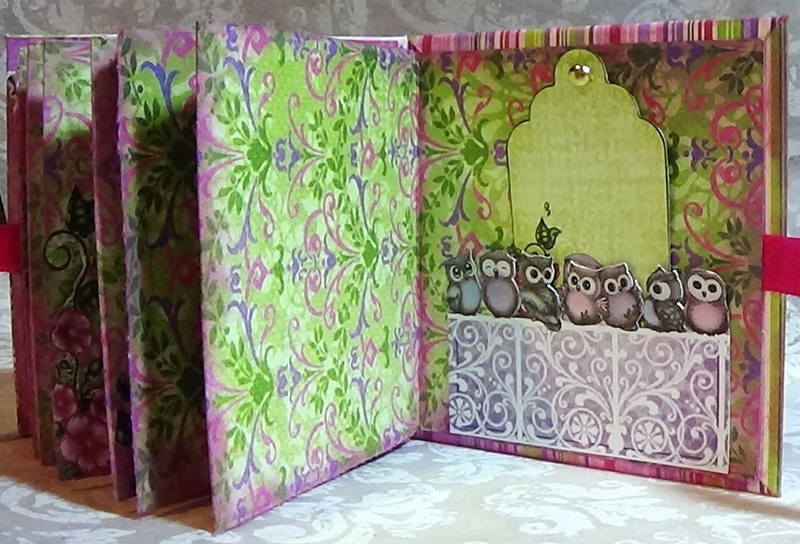 Fussy the corner flower piece and the little owls on top of the next page. Fussy cut a corner piece to hold the little tag. 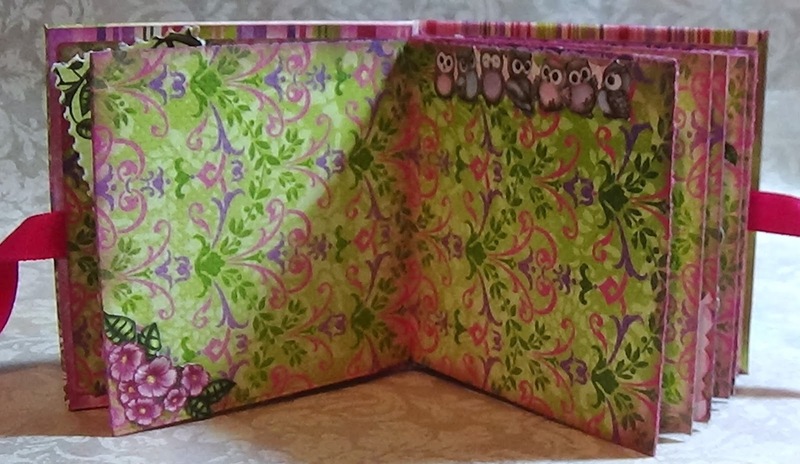 A corner piece to hold the little owl ticket. Fussy cut the flowers and placed as corner photo pieces. 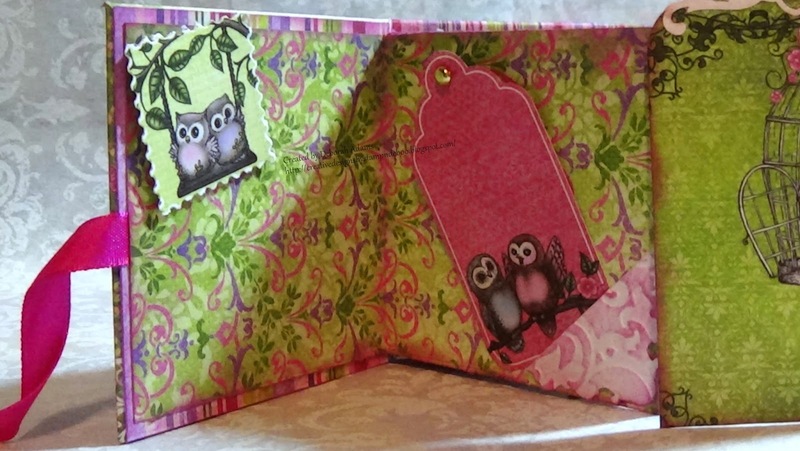 Fussy cut this cute little owl with the pink flowers. stick a photo behind this little owl. him so he is mounted with a pop-dot. This back piece with the owls sitting on a fence is fussy cut from a tag. I adhered it as an inside pocket for a photo or tag. 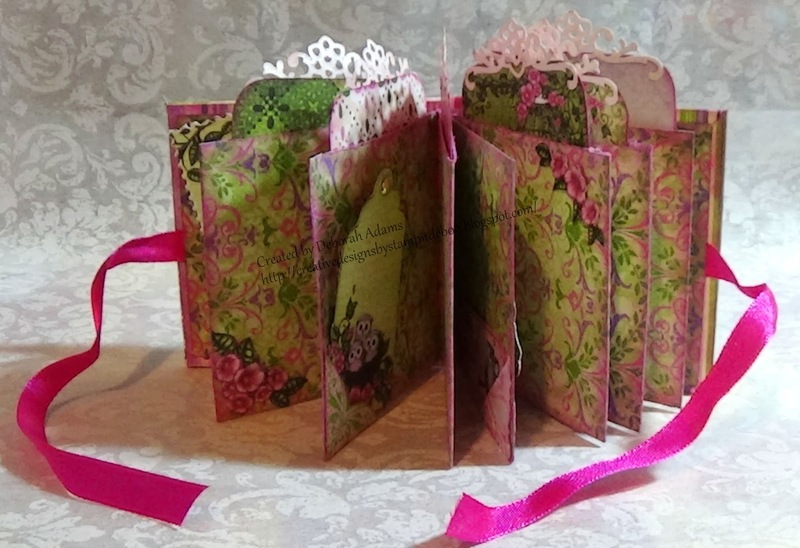 Here are the tags that fit inside the page pockets. They measure 2 1/4 x 3 1/2. with Color Bloom Cotton Candy. This is back of the mini. 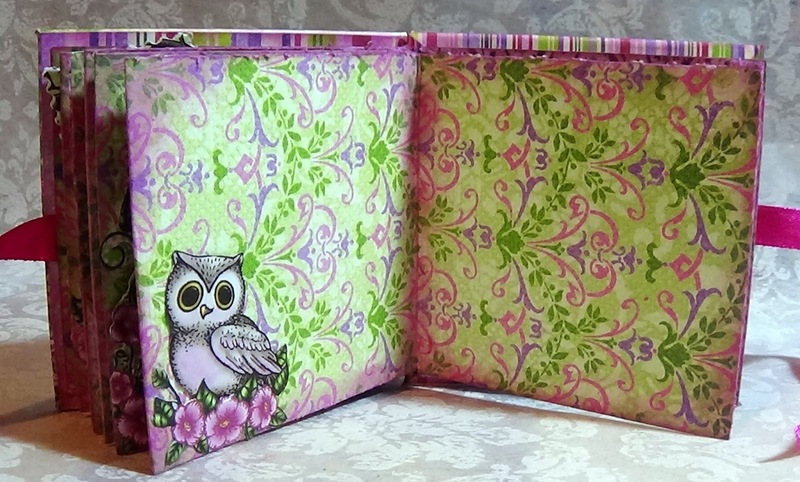 Now that you’ve seen this little mini, please head over to YouTube to get step by step instructions – By TracysTreasures24 – 3×3 mini book from one 12×12 paper; placed the link below. Thank you for joining me today. I hope you all liked this little mini and get a chance to “Try It”.